Assassins Creed 3 was a mixed bag. 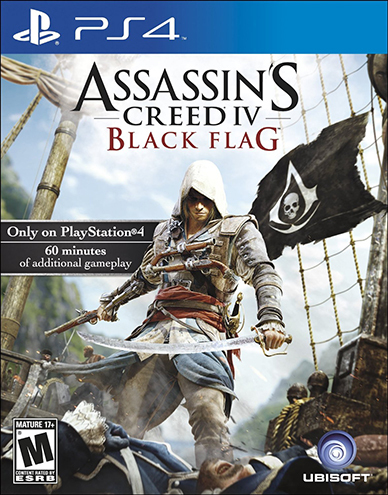 It introduced some very interesting elements, like hunting and captaining a sea vessel in naval battles, but it also took much too long to get out of the early story and put you in control of the Assassin du jour of the game, Connor. This was actually a blessing in disguise to many people, as Connor turned out to be a little boring in the eyes of some. Shall we see what happened when Ubisoft took another stab at things? 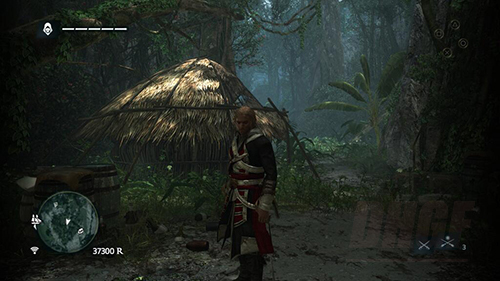 Right from the start you are put in the shoes of Edward Kenway, who is the Grandfather of former protagonist Connor. Thus, the story takes place 60 years or so before the events of AC3 and the American Revolution that it followed. Edward is a Welshman who is desperate to make some money and improve his station in life. He is desperate because he has a beautiful young wife and hopes to provide for her all that she might desire. So he quits his job working on a farm and goes off to be a Privateer in the Caribbean. Of course, what this really means is that he goes off to be a Pirate. Due to a quirk of fate, he winds up killing a man who happens to be in the middle of betraying the Assassins to their Templar enemies. Hearing from the Assassin that he would be well paid to help that Assassin arrive in Havana, Kenway decides instead to kill him and assume his identity. He takes the dead man’s name and costume and finds his way to Cuba, having taken the first steps in a very long journey that will have you interacting with many of the most famous pirates in history, such as Edward Thatch (also known as Blackbeard), Anne Bonney and Bartholomew Roberts (Black Bart). Now, some of you may be wondering just how it is that we’re getting a new AC game in the first place. After all, the current day story that the franchise had been building up to ended during the finale of AC3. Desmond, our hero, was dead, having sacrificed himself to save humanity. It’s been his ancestors memories we’ve been interacting with the whole time. So what gives? Well, keep playing, they’ll explain that. Anyway, onwards with Edward, because nobody is playing this game for the current day storyline. In his attempt to claim his prize, Edward kills a number of Assassins, which puts him in an awkward spot later on when he realizes that Templars are bad and Assassins are good. It’s actually kind of funny, I think this is the first game in the series where the main character is never actually proclaimed an Assassin, he just does what he wants and this occasionally suits the Assassin’s requirements. Since you’ve gone to the Caribbean to become a pirate, you would expect to find yourself on a ship, and AC4 does not disappoint when it comes to this. Soon after starting the game, you take command of a ship, which you then christen the Jackdaw, which is the name of a small bird in one of Aesop’s Fables. Just like the ship in AC3, you can upgrade the Jackdaw numerous times by adding extra guns to your broadsides or putting Mortars at the front of your ship to give you an extra long punch, for example. In addition, you can thicken the armor and do all sorts of other things. Doing this, of course, will require money and resources, which means it’s time to talk about the new mini-game. Gone is the hiring of other assassins to do stuff. Gone is the convoluted system of sending wagons out to deliver beaver and bear pelts. In its place now resides a simple but effective method of branching out. Basically, when you are commanding your ship, you can attack and board virtually ship you see, if you have the guns to beat them into submission that is. Once you do this, you must board the ship and achieve various objectives. Sometimes it’s just to kill a bunch of the crew, other times it will require killing a number of officers. Sometimes you even have to climb to the top of the mast and tear down the ship’s flag. Whatever is required, when you accomplish it you will usually be given three choices. You can repair your ship, you can release the ship to lower your notoriety, or you can add the ship to your fleet should you happen to have enough docks on your home island. Yes, your home island. Like the homestead in AC3 and the town in AC2, there’s a place for you to spend your money on. That place is an island you liberate from a Templar early on in the game. It has a nice harbor for you to dock a bunch of lovely ships if you so desire… ships you have been capturing as prizes. Anyway, these ships can eventually be sent all over the Atlantic Ocean, from Newfoundland to Cape Town. At least, they can be once you open the trade routes for your ships. You do that by sending the ships you’ve captured on combat missions to destroy ships guarding those shipping lanes. 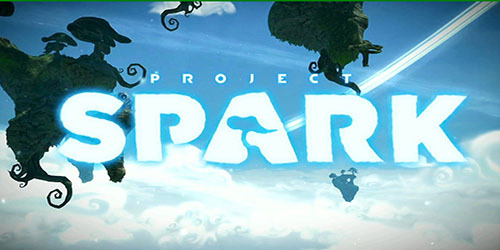 It all sounds fantastic, but it’s really just a 2D mini-game. Your ships travel to their destinations in real time, so a ship sent to Brazil, for example, might not complete its mission for twelve actual hours. Fortunately, if you have friends playing the game, they can help speed your ships along, often cutting hours from the mission time. It pays to help your friends too, as you can acquire fire barrels to be used during the combat missions. The mini-game isn’t that much different from what’s gone before it, but it is a much simpler experience. You just choose what ship to assign to a mission and then away it goes. It’s actually a bit too simple. You cannot, for example, select two ships to send if none of your ships has enough cargo capacity to go on its own. As well, every time you clear a trade route, it’s only a matter of time before you have to do it again. It gets a tiny bit tedious, but the trade routes you open up later on certainly make the effort worthwhile. Crafting has also been simplified. Instead of the whole convoluted mess that was crafting in AC3, now you either have the stuff required, or you don’t and you go get the stuff you require. Makes things much simpler, and thus far more enjoyable. Graphically the game is very nice looking, but it’s only marginally better looking than the PS3 version. Where you really see the difference is in the smoke effects on the water and when you are running around in jungle areas on shore. Both are quite believable. You can still climb trees in AC4, much like you could in AC3, running along branches and such. Where it was blatantly obvious in AC3, however, it is now more subtly applied. This is not a next generation game in the way that a Forza 5 is for example; it’s not the graphics that are going to sell your friends on buying a new console in this case. It’s in the audio where this game really shines. Such care has been taken to make the environment sound alive, be it in the jungle, in Kingston or on the deck of your ship. 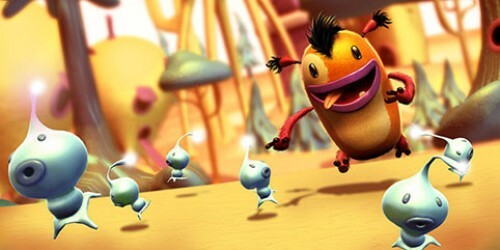 The sound effects are terrific, and the music is excellent as well. Now, the music is something to behold. You, of course, have the dramatic symphonic music during events that require it, but as you are sailing around the Caribbean your crew will break out into song. Not much else to do back then, you see. Gotta pass the time some how. Anyway, you can tell your crew to be quiet, or you can tell them to change songs in much the same way you would change radio stations in a GTA game, by pressing a direction on the D-Pad. What’s even better about the music is how it has allowed the developers to give you something more interesting than feathers to collect. When you are in the cities, like Havana, Kingston or Nassau, you will find musical notes on the map that indicate where various songs, or shanties as they are called in the game, can be found. They behave much like the letters from Ben Franklin did in the AC3, so you have to chase them, but when you do catch them, it unlocks a new song for your crew to sing. Such a simple idea that makes a stale gameplay element feel renewed. 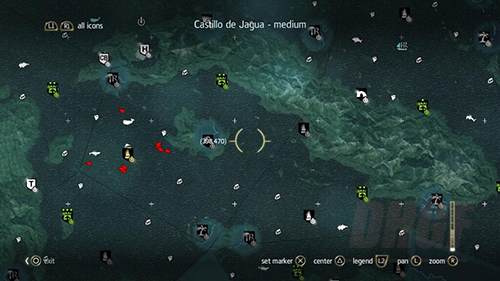 Little side missions have been scattered all over the place, on both land and at sea. Treasure chests are all over the place, as are letters in a bottle that explain the backstory a bit better. You can find treasure maps on dead bodies that enable you to earn special items or the plans for special upgrades for your ship, and just like last game, you can hunt animals and use them to upgrade your health or increase how many weapons you can hold at one time, for example. At sea you can also hunt, as whales and sharks have been added to the list of things you can hunt. Later on in the game you unlock a diving bell that will allow you to dive beneath the surface of the water and swim around shipwrecks, harvesting them for loot and Animus fragments. Diving on the shipwrecks is very rewarding, not so much for the money you earn but for the upgrade plans you can acquire. Once you upgrade your ship’s components to a certain point it can no longer be upgraded unless you unlock the elite version of that upgrade. Usually the only place to get that upgrade is at the bottom of the sea somewhere. 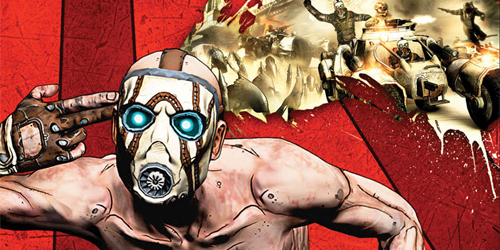 Both the PS3 and PS4 versions include an exclusive bit of content for gamers. Titled Black Island, the developers claim it gives an additional hour of gameplay, but honestly it took me twenty minutes tops. A little underwhelming honestly. It does grant you the ability to sail with black sails, and it does grant you a spiffy uniform to wear, but otherwise it’s not really worth it. Thankfully that’s really the only thing in the game that’s underwhelming. The free running into everything gets a little tiresome, but honestly it’s been that way for five games now. Crafting items, like poison darts, can still be a tedious affair, only crafting one item at a time instead of allowing you to do everything all at once. The crafting thing I can live with though, as you can usually just loot more items off of the people you kill instead of having to craft new items. The underwater swimming could be handled in a more fluid way, and it wouldn’t have hurt to give Edward a knife as he’s swimming to fight off the sharks that attack you. Multiplayer returns once more, and the big addition this time around is Wolfpack mode, which allows you to play some missions cooperatively. I’m quickly losing interest in this portion of the game, to be honest. I’d rather have an open world game in the vein of GTA5 if I could, with players captaining their own ships if they so choose. What we have here is the best Assassins Creed game since Assassins Creed 2, and quite possibly the best ever. Ubisoft clearly brought their A game with this one. When I can spend all weekend just sailing around in a section of the game that isn’t even the main selling point of the franchise, I think it’s safe to say they’ve got a winner.